Close your eyes and make a wish. There — sparkling in the sunshine, whispering on the tips of dandelion seeds, your wishes ride off into the breeze. Shake this snow globe and watch the tiny silver flecks shimmer and float, mimicking the dandelion’s dance. Wish. 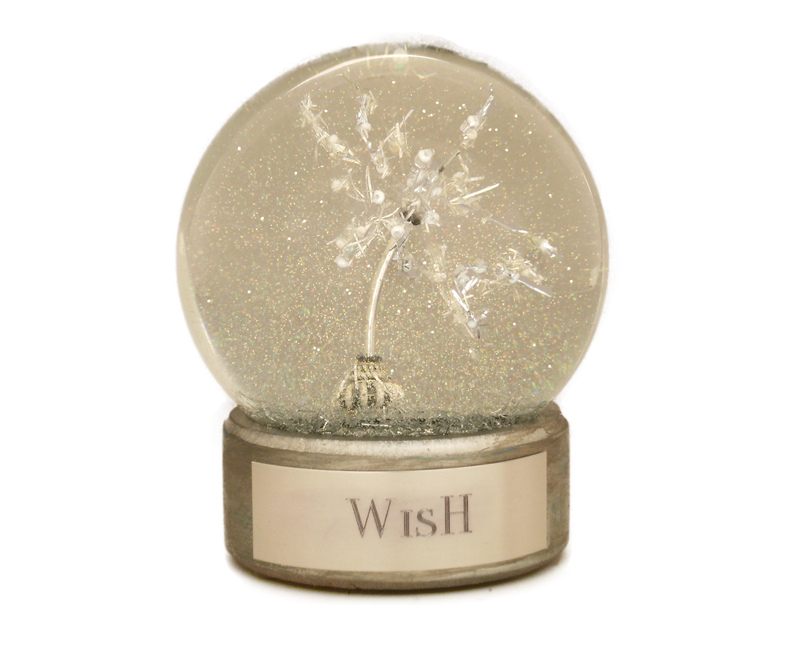 WISH, one of a kind snow globe with faux dandelion made of vintage beads, fishing line, sparkles, wire and findings. All designs, photographs and images copyright (c) 2015 Camryn Forrest Designs, Denver, Colorado, USA.